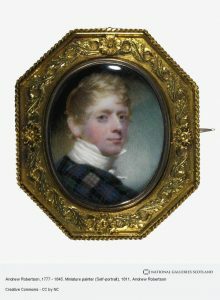 Below is the detailed biography of Andrew Robertson – a miniature painter of Scottish origin. Some of his paintings are seen at the Victoria and Albert Museum today. Andrew Robertson was born on the 14th of October, 1777 in Aberdeen, a city in Northeast of Scotland to William Robertson and his wife Jean. William Robertson was a cabinet maker. He was the youngest of the five sons they had. Their other two sons, Alexander Robertson and Archibald Robertson were the founders of the Columbian Academy of Painting in New York, the United States. Andrew wanted to pursue a degree in the medical profession and therefore went to the Marischal College in Aberdeen. However, he had less support from his family and therefore, went ahead to study art. He went to Edinburgh and learnt under Alexander Nasmyth. Later, he practised again under Sir Henry Raeburn. Andrew Robertson went back to his hometown Aberdeen in Scotland and started his career as a miniature painter. As he was just beginning his career, his incomes were considerably low. He, therefore, supported himself by drawing painting sceneries for theatricals in Scotland. He followed the instructions of his brother Archibald in his painting profession. He went to London in the year 1801 in order to progress further in his field. Due to his cordial relationships with notable painters like William Hamilton and Sir Martin Archer Shee, he acquired admission into the Royal Academy. There, his work was much appreciated and quickly taken into notice. His miniatures were exhibited at the Royal Academy for the first time in 1802. He received a contract from Benjamin West, an Anglo American historical painter for whom he made many miniatures. Soon, he became one of the leading miniature painters in London. 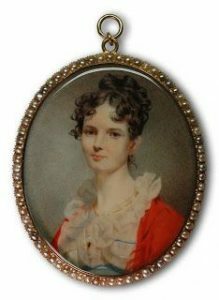 Among miniature painters like Samuel Shelley and Richard Cosway, his form of art was distinguished by his directness and academical type. Soon after 3 years at the Academy and painting more than a 100 miniatures, he was appointed the official miniature painter to the Duke of Sussex in December 1805. And during February 1807, he was offered the privilege to visit the Windsor Castle and paint portraits of the Royal family members and the Prince of Wales. He founded an organisation called Associated Artists in Watercolours in 1807. However, the organisation failed to exist after a short period of time. 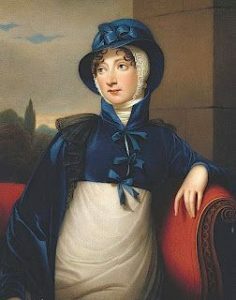 He exhibited at the Royal Academy for a long period of time displaying several miniatures and portraits until the year 1842. His self – portrait is exhibited today at the National Portrait Gallery in London. His accurate detail and smooth finishing in his miniatures are much of what that are remembered by art critics today. He was also socially an active man. He was the leader of the Scottish societies in London. He was also quite active in volunteering for the corps of loyal North Britons under Lord Reay. He was appointed as the Lieutenant here, in October 1803. His high promotion of many charitable schemes that he worked on led to the formation of the Caledonian Asylum in London. Andrew Robertson married in Annie Philips, the only daughter of Samuel Boxill of Waterford, Barbados. The number of children they had is uncertain. 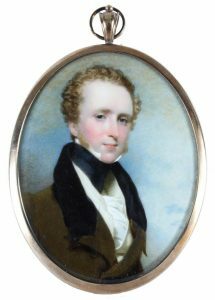 However, their son Samuel Boxill Robertson is known to have exhibited the paintings of his father after his death. Andrew Robertson died in December 1845, the day of the month is uncertain at Hampstead, London. 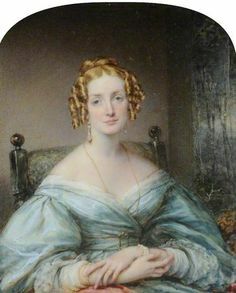 After his death, his son exhibited his paintings that were the portraits of Sir David Wilkie, Princess Amelia, Sir Francis Chantrey and some more well-known people of the Victorian Era. He was called the ‘Father of Miniature Painting’.